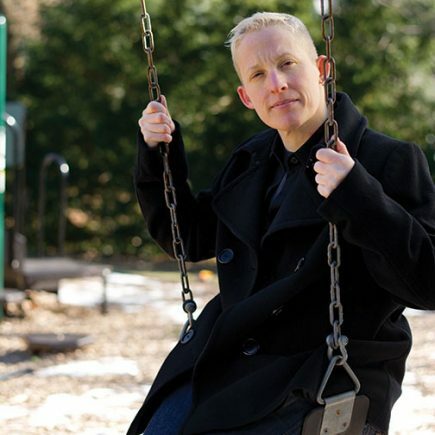 Tey Meadow is an Assistant Professor of Sociology and Studies of Women, Gender and Sexuality. Her scholarship spans the domains of law, politics, the family, sexuality and gender, with a specific focus on the creation and maintenance of social classifications. Her first book, Raising the Transgender Child: Being Male or Female in the Twenty First Century, is an ethnographic and interview-based study of the first generation of families affirming and facilitating gender nonconformity in children. In it, she offers sociologists a new theory of gender, one that accounts for the intricate ties between personal identities and social institutions. Her previous work examined the operation of legal gender classifications, feminist ethnographic research methods, and the politics of family diversity in post-Apartheid South Africa. Her articles have appeared in Gender & Society, Syexualities, Politics and Society, Contemporary Ethnography and in a number of edited volumes. When not researching, writing or working with students, Tey can typically be found in the company of her one year-old baby, Noa, volunteering with various LGBT organizations, or talking about herself in the third person. Tey holds a JD from Fordham University School of Law and a PhD in Sociology from New York University. Prior to joining Harvard’s faculty, she was a Fund for Reunion-Cotsen Fellow in LGBT Studies in the Society of Fellows at Princeton University.